Sheryl S. Fyffe is a partner in the New York office of Lewis Brisbois and a member of the General Liability Practice. 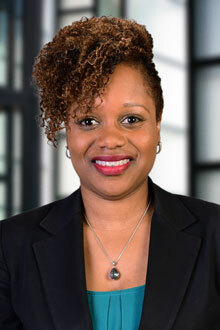 She focuses her practice on commercial motor vehicle, premises liability, and dram shop cases and has experience representing clients in a variety of employment discrimination matters. Ms. Fyffe handles all aspects of civil defense, with an emphasis on complex and high exposure litigation, including motor vehicle, transportation, premises, and commercial liability claims. A dedicated and highly organized attorney, Ms. Fyffe is adept at handling complex, multi-plaintiff cases, often involving severe injuries such as traumatic brain injuries and multiple fusion surgeries. She works closely with clients to help them manage risk and ensure their needs are met. Ms. Fyffe handles all aspects of litigation, from the pre-suit phase through resolution and has brought countless matters to dismissal, defense verdict or favorable settlement. Ms. Fyffe has also assisted clients interested in reducing shelf life of files as well as legal and indemnity expenses by participating in settlement projects aimed at evaluating and actively negotiating files for immediate resolution.